Can Innovation Halt the Doom and Gloom of E-Cig Sales? By the numbers, 2015 was not a great year for the e-vapor segment. Once skyrocketing by double digits, vape growth stagnated in 2015. Nielsen data shows c-store dollar sales were down 1.1% year over year as of Dec. 26, 2015 (compared to being up 11.6% at the end of 2014). Though still an important part of VERC Enterprises’ business, e-cig sales have flattened or declined, says Anna Bettencourt, category specialist for the Duxbury, Mass.-based company. However, “we’re still seeing the vape end of it very strong,” she says. Herzog has been quick to point out that traditional data sources such as Nielsen do not measure “equivalent units” (i.e., one refill cartridge equals one disposable e-cig equals one milliliter of e-liquid) and do not track online or vape shop sales. This is problematic, given the fact that Herzog says there’s “no question” consumer preferences are pivoting from cig-alikes toward larger, more technologically advanced vaporizers, tanks and mods (VTMs). For analysts such as Herzog, manufacturers and retailers alike, the importance of vapor innovation is vital, especially when it comes to reigniting sales. It’s easier to get over this hurdle with vaporizers and tanks, Bettencourt says, because they look very different than e-cigarettes. And improve it has. 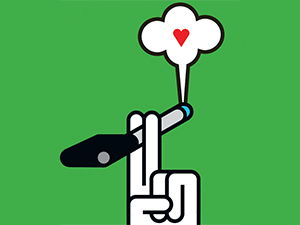 Though much of the innovation has taken place in vape shops—where consumers are typically more willing to spend the dollars required for cutting-edge products—2015 saw a number of new-product launches aimed at the c-store market, such as the Craft Collection subohm and premium e-liquid line from Mistic E-Cigs, Charlotte, N.C.
Herzog has also pointed to JUUL from PAX Labs as an example of a less traditional but innovative product drawing consumer interest. Cohen describes JUUL as a “micro-tank” that better mimics the combustible experience through the patented use of nicotine salts in the device’s e-liquid formulation, resulting in what he calls a “game changer” for consumers. But retailers are not necessarily embracing every new product with open arms. And for good reason. “The c-store channel has had its fair share of challenges,” Wiesehan says. Cost is another hurdle: The latest technology doesn’t come cheap. And while consumers might feel comfortable dropping several hundred dollars on the newest iPhone, the average customer doesn’t walk into a c-store expecting to spend anywhere near that much. The biggest obstacle Wiesehan has faced with bringing in Craft Collection is space. The good news is retailers who are taking a chance on innovative vaping products have reaped the rewards. Cohen says JUUL is “posting amazing growth and momentum” for retailers such as ExxonMobil, Circle K, Speedway and Sheetz, pointing to IRI data showing starter kit sales were up 54.1% and refill pods were up 139.1% over the 24 weeks ending Dec. 27, 2015. While such data points are limited, Herzog encourages c-stores not to close the door on vaping innovation despite obvious setbacks over the past 18 months. And despite some less-than-ideal prior experiences, she hopes manufacturers will continue to innovate and help retailers by offering promotions and advertising new products to drive excitement and trial. Only time will tell if vaping innovation will reverse the deceleration of e-cig sales. Bettencourt, for one, is not giving up hope.